A new Tonido release 2.51 is now out with some major Sync bug fixes and other minor fixes. There is now a additional feature of temperature monitoring of internal SATA HDD with warning and shutdown protection if temperature exceeds a threshold. 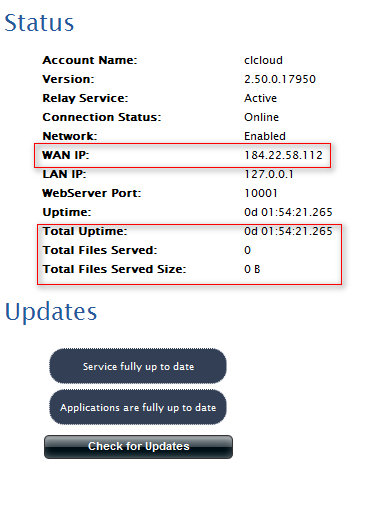 If you are using sync, it is recommended to upgrade to 2.51 on your server as well as on the sync clients as soon as possible. On some Windows computers, Sync was unable to complete synching files from the server because a specific WIN32 API call was failing causing “File Access Denied” exceptions. This has now been worked around. 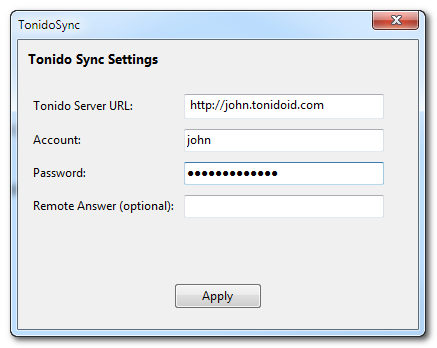 A preview of some of the enhancements coming to the Sync Client in Tonido 3.0. The sync client has been significantly enhanced to handle a lot of files efficiently and faster. In addition to the under the hood enhancements, here are some of the visible changes. 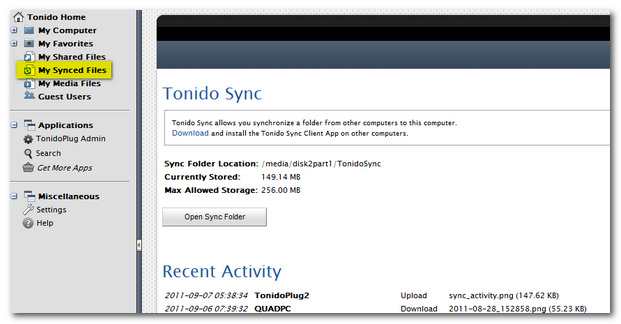 Change Location: Change the location of the Tonido Sync folder quickly and easily via the UI without editing XML files. 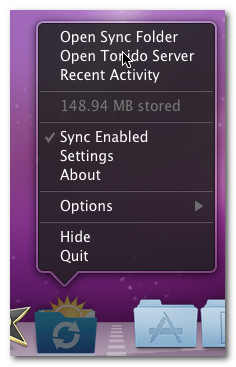 This will also copy the contents of the TonidoSync folder into the new location. This has several major improvements and upgrading is recommended for all of our users. Due to popular demand, Tonido Money is now available for install in the list of applications. We added several optimizations to make the UI load load significantly faster. This releases fixes the broken PHP based apps on the TonidoPlug like Fitness and TonidoShell. In many cases it might be useful to prepare your media before remote use, especially large photos so that when shared, they appear instantly without any time spent on creating thumbnails and slide show images. To prepare a folder and all contents within the sub-folders, simply open the folder’s context menu and choose “Prepare Media”. 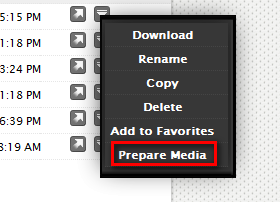 To view the status of the “Prepare Media”, you can open Settings->Misc and check “Running Jobs”. It is easier to share the current folder you are browsing. It is now possible to rotate images when you are viewing them in the image gallery. This makes it a handy took to fix those pesky non-rotated photos before sharing. 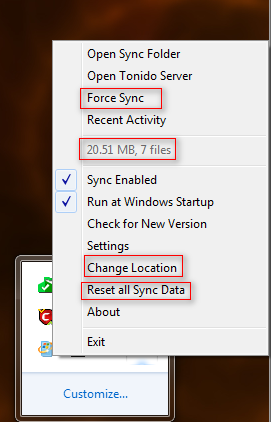 Tonido Sync now fixes a critical issue where it was not detecting changes in sub-folders below the top level folders on Linux and TonidoPlug. Upgrading to this release is recommended for all users. This is a patch release for Sync issues found in the last beta as well as some other general fixes. We recommend upgrading to this release. 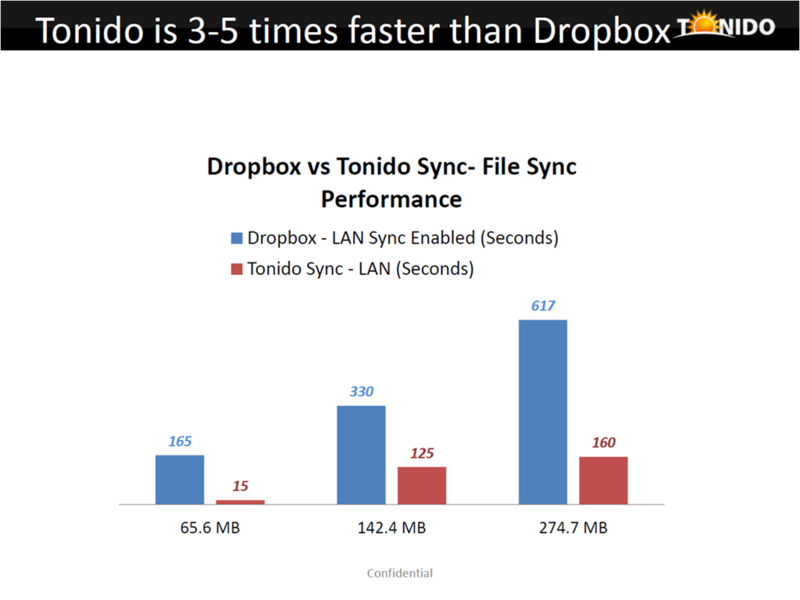 We also recommend upgrading your Tonido Sync clients running on your other computers to this version. Fixed Tonido UI navigation issue when left hand side doesn’t have a folder listing that right hand side shows. It has been about 2 years since the launch of Tonido and TonidoPlug and it has been a period of solid growth and progress in many fronts. One of the key things we have been doing is listening to your feedback and using that to drive our product development strategy. CodeLathe as a company strongly believes in empowering customers as well in solutions where the user has ultimately the control on their data. Today, we are more than excited to announce one such feature as part of the already strong Tonido Platform. 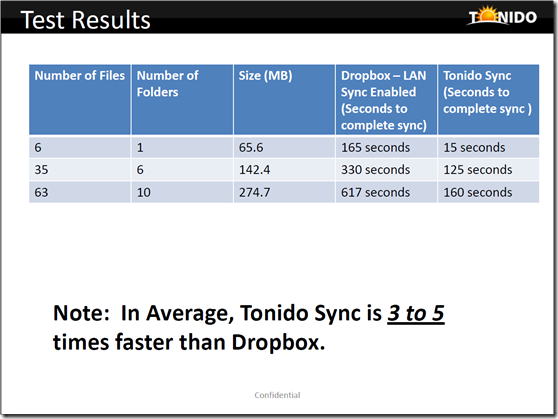 Tonido already offers smooth and simple remote access to your files and media, today we take it one step further allowing Tonido to be your sync solution that keeps your files completely private. 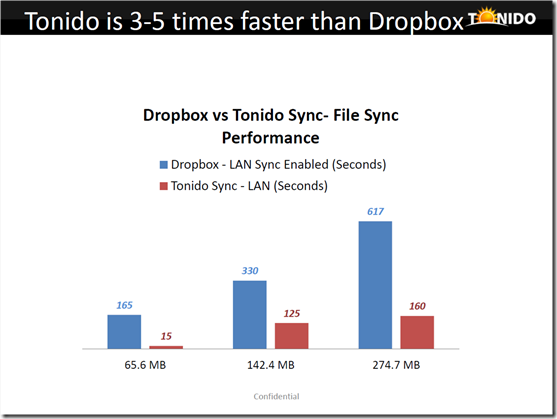 CodeLathe is happy to announce Tonido Sync, one of the first products of its kind, offering file synchronization without using the Public Cloud. Now sync is truly personal. So exactly how does it work? 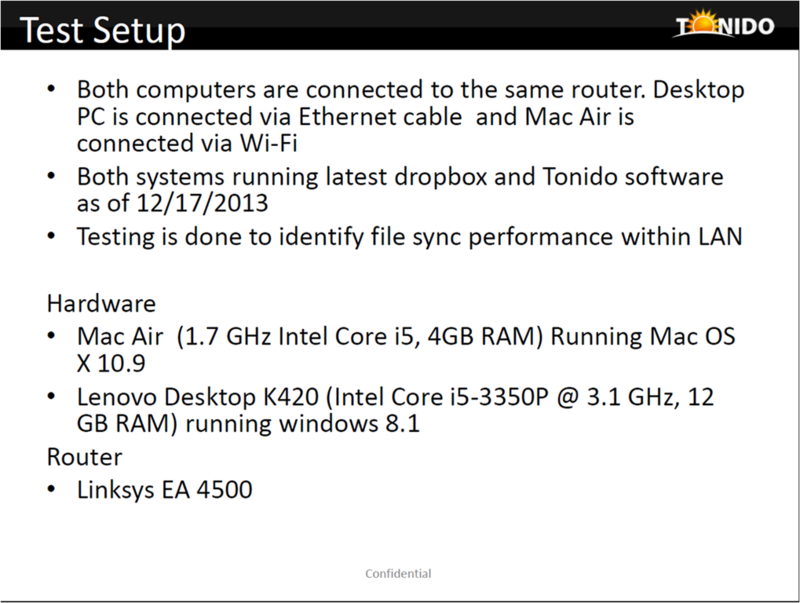 Install Tonido on your computer. Install the Sync Application by clicking on “Get More Apps” on the left hand side navigation. After install, activate the Sync app. 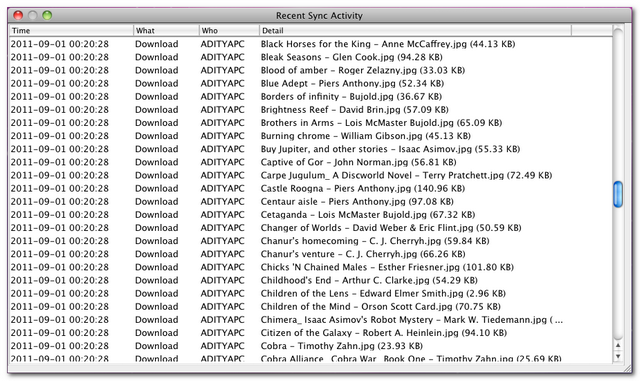 After activation, a new TonidoSync folder is created on your computer or TonidoPlug. To see the location of your synced folder, open Tonido and in the left hand navigation, you should now see the “My Synced Files” show up. 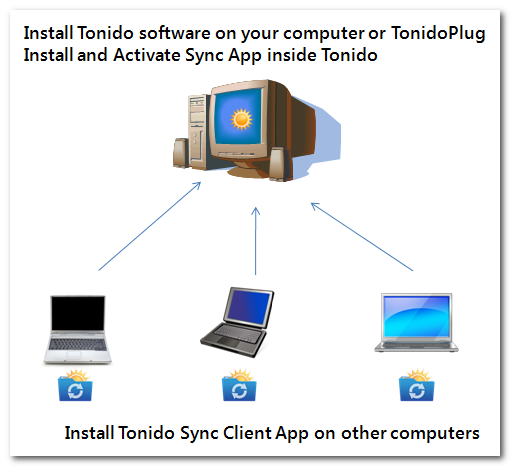 Go to other computers that you want to synchronize and install the small TonidoSync Client app for your OS, available from the Tonido.com Downloads Page. (available for Windows, Linux or Mac). After install, start the app and enter the Tonido server credentials, same as what you would do for mobile apps. 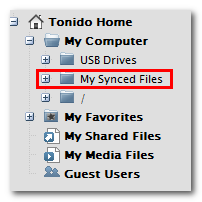 A new TonidoSync folder is created on your computer. Sit back and Relax. 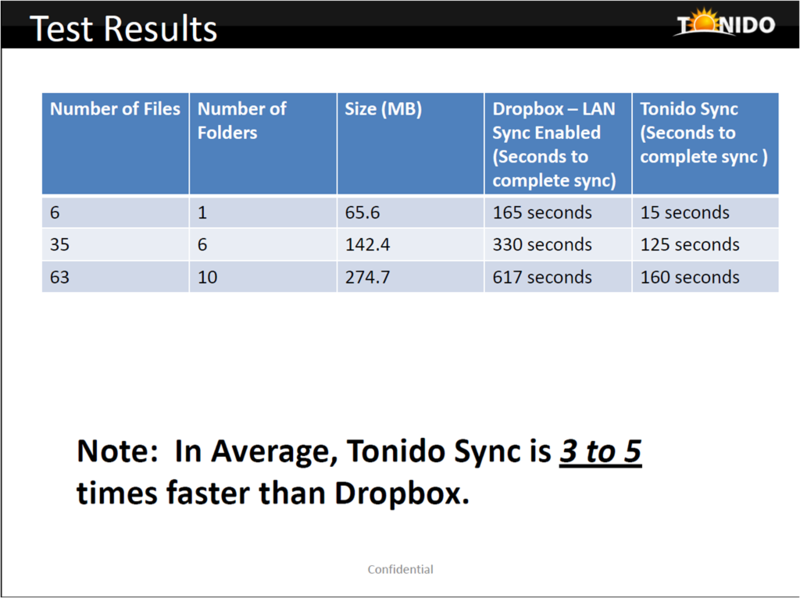 All content in the TonidoSync folder is now synchronized among all your computers. 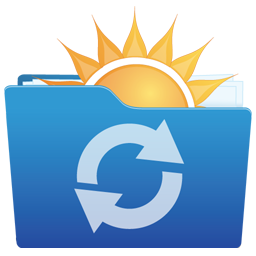 Just drag and drop your files to the synchronization folder and it is synchronized with all your computers. You can check the synchronization activity using the TonidoSync Client app. 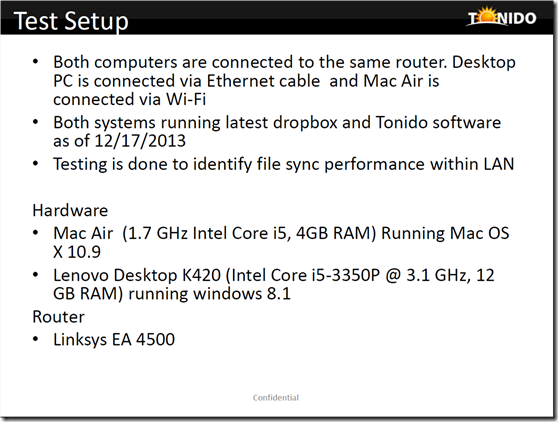 This is available in Tonido release 2.30 available today on all platforms Windows, Linux, Mac and TonidoPlug. During the beta, there is a limit of 250 MB for sync that is allowed and the maximum file size you can synchronize will be limited to 20 MB. Also, since it is in Beta, we request that you keep backup copies of your data when using it. As usual, please keep the support, feedback and comments coming.